Here's an awesome aerial view of one of the most well known ski villages in western Switzerland. Saas-Fee lies in the Saastal Valley in Valais, the southwesternmost of the Swiss Cantons. Saas-Fee is the best known of the ski resorts in the area, which lies to the east of the Mattertal Valley (home of the famous Matterhorn). 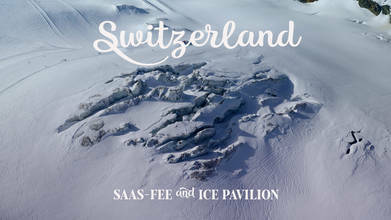 The video, which was shot mostly with a DJI Mavic Pro 2 drone, features on-the-ground footage of the town's Ice Pavilion which affords up-close looks at the area's famous glaciers.